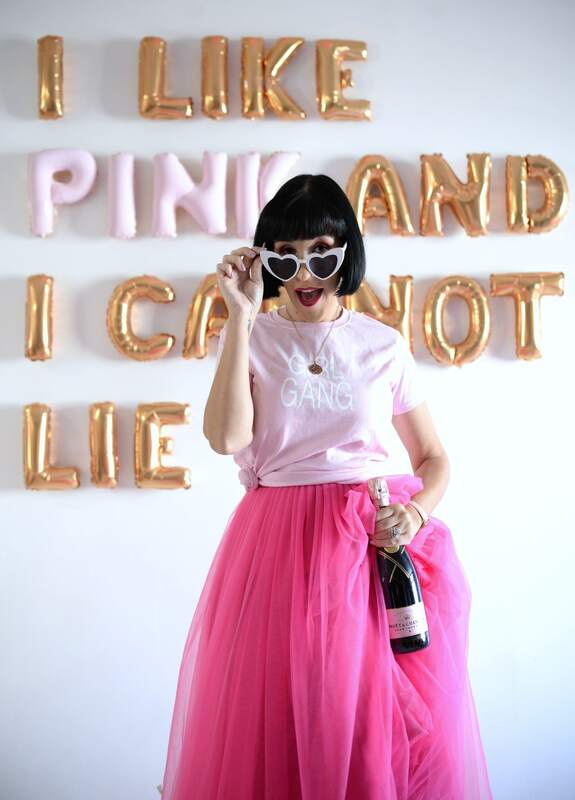 “Lipstick has always been one of my favourite products and I’m really excited about all the amazing colours and new textures” says Anna Sui. I couldn’t agree more, although I’m not one to leave the house without makeup on, or at least some foundation to even out skintone and some mascara to brighten eyes, I feel that sometimes all you need is a little lip colour to make the world of difference. Anna Sui Drama Queen Lipstick has an ultra-smooth texture, is formulated to provide a variety of pure, vivid colours in one easy swipe and is available in 2 different formulas in over 20 different shades. The Vivid Base has a rich concentration of pigments with a speciality formula that provides the perfect balance of colorant and wax for a bright, polished finish in 17 bold shades. The Fix Oil helps smooth uneven lip tones for an even finish, Clear Sliding Powder helps melt and spread evenly over lips, Moist Oil provides long lasting colour and keeps lips moisturized, and finally Rose Canina Extract and Oil give a moisturizing and emollient effect to the lips. The Dazzle Base is infused with sparkling glass pearls to give the lips endless amounts of shine and is available in 5 different shades. Gloss Oil gives the lips an extra glossy finish, Plump Fit Oil enhances smoothness for an easy glide on application, Moist Oil keeps lips smooth and hydrated and Rose Canina Extract and Oil give a moisturizing and emollient effect to the lips. 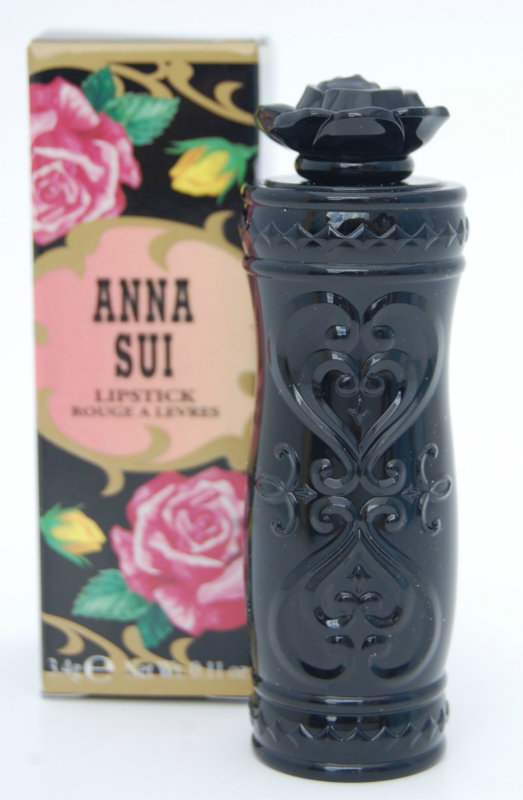 Anna Sui Drama Queen Lipstick packaging is truly a work of art and totally unique, it features Anna’s signature black lacquered rose design and the lipstick tube itself looks like a bouquet of roses in a black vase. It has a buttery soft texture that applies like a dream. 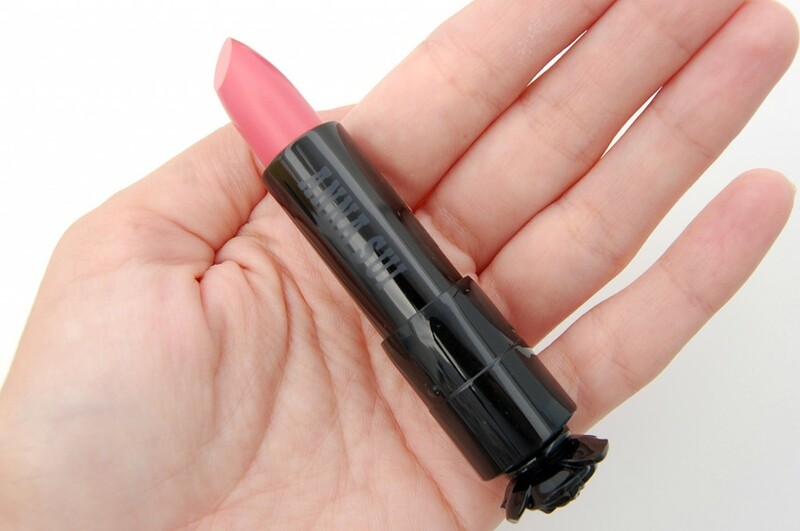 It glides on effortlessly, distributes the colour evenly and keeps lips moisturized throughout the day. It’s highly pigmented, one swipe is enough, but is very buildable for a more dramatic look with just the right amount of gloss and sheen to it. The wear time is 4 hours, but it stays put and never bleeds into fine lines. 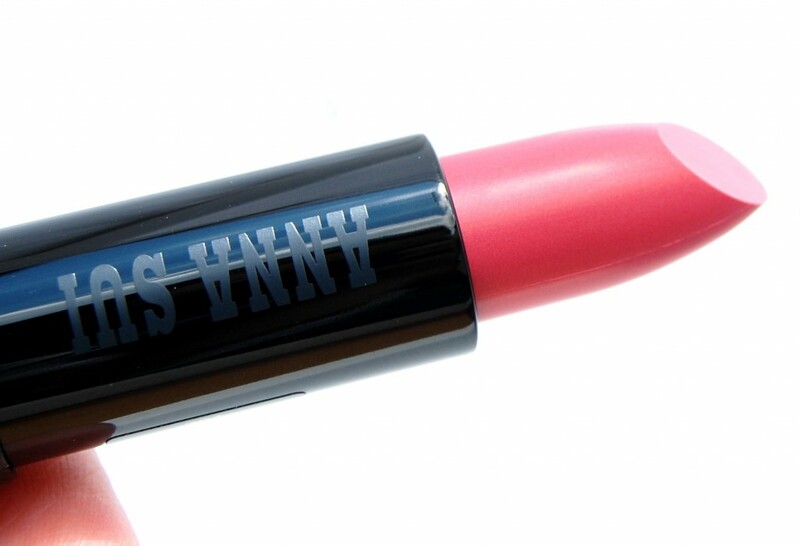 Anna Sui Drama Queen Lipstick #301 is part of the Vivid Base collection and is the perfect daytime rosy pink. For someone that suffers from dry lips from time to time, this formula is perfect, its creamy soft texture applies beautifully to the lips, with no mirror needed (I love that) and it keeps my lips hydrate all day long. It’s never drying, is very comfortable to wear, but since it is so creamy and glossy, the wear time is just average, about 3-4 hours before wanting to re-apply. I would love to get my hands on one of the Dazzle Base shades as I think it would be perfect for a night on the town, a little sparkle on the lip to create the unlimited dramatic look. 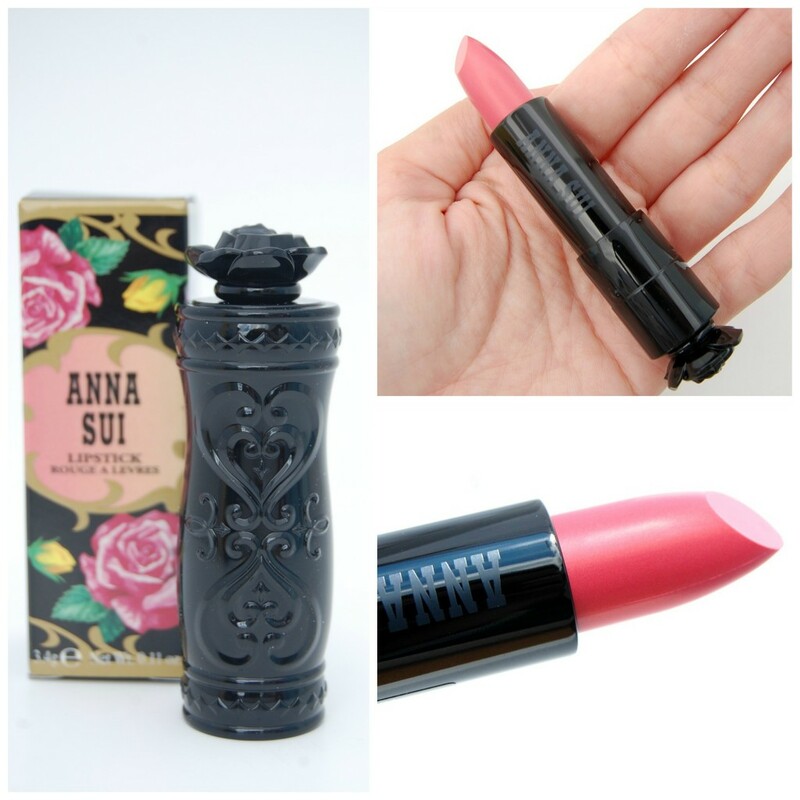 Anna Sui Drama Queen Lipstick retails for $29 and is available at Shoppers Drug Mart, Murale and at 4 Bay locations (Eaton Centre, Yorkdale, Sherway and Downtown Vancouver).